Working out should be about more than lifting weights and doing some cardio to lose weight and stay in shape. Working out should also improve your mind-body connection to help you move and feel better in every day life. By improving your mind-body connection, you will be able to more quickly recruit the correct muscles to do work aka lift weights or run. This will help you prevent and alleviate pain and injury as well as react more quickly and be more coordinated. How then do you improve your mind-body connection when working out? Two, you should also include movements that cause you have to work in new and different ways at a quick pace. And one of the best ways to make you move in every direction quickly to improve your coordination and mind-body connection is with Agility Ladder Drills. 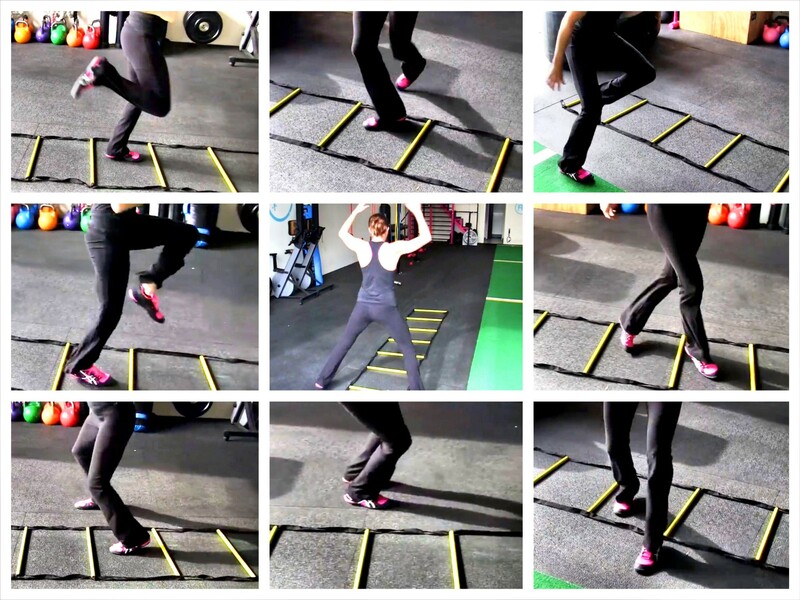 The Agility Ladder is often used with athletes to improve their footwork and agility. But athletes aren’t the only ones that should be using it. 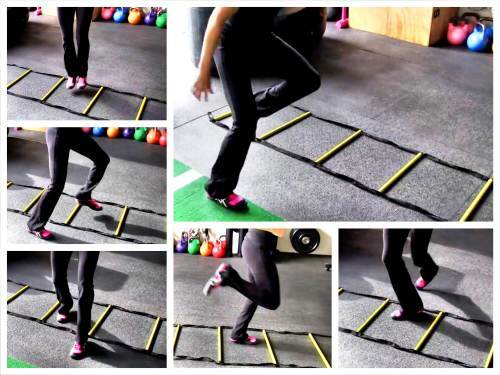 The people that may actually benefit most from Agility Ladder Drills are actually non-athletes looking to improve their mind-body connection and coordination. However, in order to get the most out of the drills, you can’t simply go through as fast as possible and do the drills haphazardly. You must focus on getting the movements down perfectly and then do them as fast as possible. By learning the new drills and doing them correctly as fast as possible, you will improve your mind-body connection and therefore also improve your coordination. 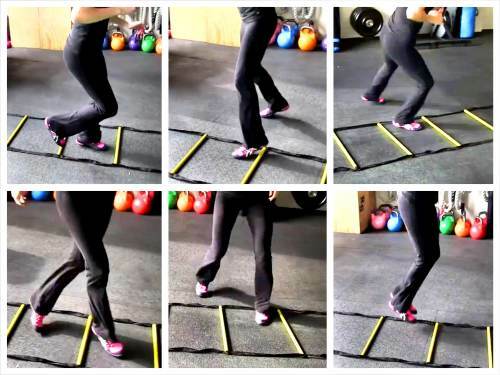 Check out the Agility Ladder Drills in the video below for some great variations. Whether you’re a beginner or an advanced exerciser, you can benefit from these drills! 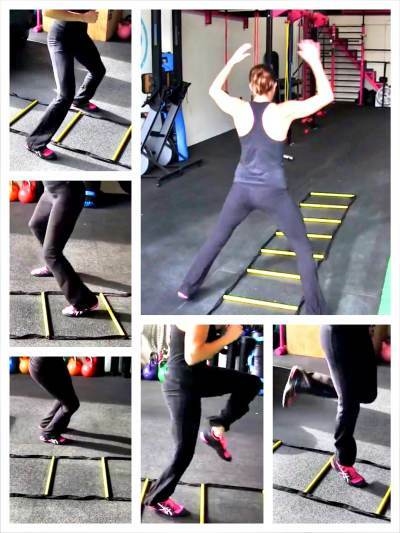 The 30 Agility Ladder Drills are organized by difficulty although you may find that certain drills are more complicated for you because they are new and different. Make sure to learn the steps before doing them faster. It is important to do them properly to improve your coordination and mind-body connection. If you just do anything but move quickly, your body won’t make new connections and learn a new movement. You can use these drills as part of your speed, agility and quickness workout or you can use them as part of your warm up. They are a great way to get the blood pumping and everything warmed up and working together. Below is a list of the Agility Ladder Drills we cover. Join our Elite Workout Library today and get access to a variety of workouts you can do anywhere. New workouts are added each week and we will help you tailor them to meet your specific needs. Plus, you’ll gain access to our Members Only Group to help support you as you work toward your health and fitness goals!